The Health o meter® Professional Connectivity Kit interfaces with all of our digital scales and along with Welch Allyn Spot Vital Signs® LXI or a Welch Allyn Connex® Vital Signs Monitor, weight, height, and BMI measurements are displayed and directly transferred into your EMR/EHR system. The C-HOMWA-1 Connectivity Kit is intended to be used with the Connex platform compatible monitoring instruments. 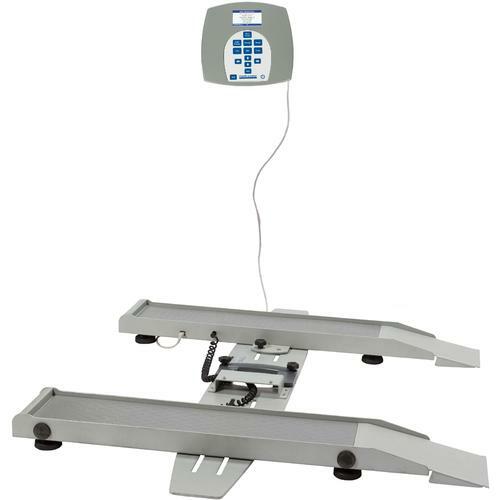 It is designed to be utilized in environments where the intended use is monitoring weight, height and BMI of patients in hospitals, and hospital-type facilities that utilize the Welch Allyn patient monitoring systems. Indicators: Green LED labeled "Power", Green LED labeled "Connected"